The Office of Head Start should be commended for their work putting together the new Head Start program performance standards. The new Head Start standards make significant changes to the existing model. Don’t look at these changes as minor revisions or simply updates -- in many ways this resembles a Head Start reauthorization through the regulatory process. I do think most policy makers believe that the new updated and much thinner standards will ensure that Head Start programs get better results for our most at-risk children and families. Here are my big takeaways for the Head Start community as you read through them more closely. Everyone, and yes I mean everyone, will be providing full day programming to Head Start children and families. While there are a limited number of exceptions and off-ramps, eventually every Head Start program will need to provide 1,020 hours to every child they serve. The Office of Head Start recognizes that this major change will not happen overnight. It becomes a requirement on August 2021, when all of your slots must be full day. The Secretary of Health and Human Services can, however, decide to extend that deadline if he or she believes that there aren’t enough new dollars to make this work. They are also providing some flexibility to grantees by not requiring a uniform 6 hours per day and instead allowing them to make 1,020 hours work annually. The Office of Head Start can also provide a program with a waiver to be exempted, but you would need to demonstrate that you can produce similar results with your own community-based option. I think these will be hard to come by and the Office of Head Start still needs to build this out more. I have talked to enough Head Start directors, staff, and parents that can clearly articulate the difference those extra hours make in improving outcomes for children. Having said that, I hope in the coming years that the Office of Head Start allows parents and programs more options and choices. Some families might prefer and benefit from a shorter duration program. I also continue to believe that the Office of Head Start and ultimately Congress will need to make more dollars available for facility renovation and expansion to make this new mandate doable. The new standards catch up with the latest research. Most programs are already implementing many of the best practices that the new Head Start standards are requiring. But what they propose around dual language learners, mixed income classrooms, homeless children, absenteeism, working with children with disabilities, working with children with challenging behaviors, suspension/expulsion, professional development and a host of other areas really does a nice job of capturing the latest research and infusing that into Head Start. Much has changed around early childhood education research and practice from the last time the standards were revised. These new standards make the necessary updates. Strong parent engagement was maintained. As you know our Association had a lot of concerns about what the Office of Head Start originally proposed when it came to parent engagement, especially around the policy council and the family partnership agreement. We heard from many parents, directors, and family engagement staff that the new standards would weaken the role of parent engagement. I am proud of the parents in our community and across the country that spoke up and advocated to their members of Congress and the Administration on this issue. At the end of the day the Office of Head Start heard their concerns and decided to revise their initial proposal so that it would strengthen parent engagement in Head Start, rather than weaken it. We are all very appreciative that they made the necessary changes to the original proposal. I am very happy with it and thankful that our collective voices were heard and listened to. More babies. If you were guessing whether Head Start was going to be more focused on pregnant moms, infants, babies, and toddlers and less on preschoolers over the next few years, you were right. The Obama Administration has been pretty clear about their intent. 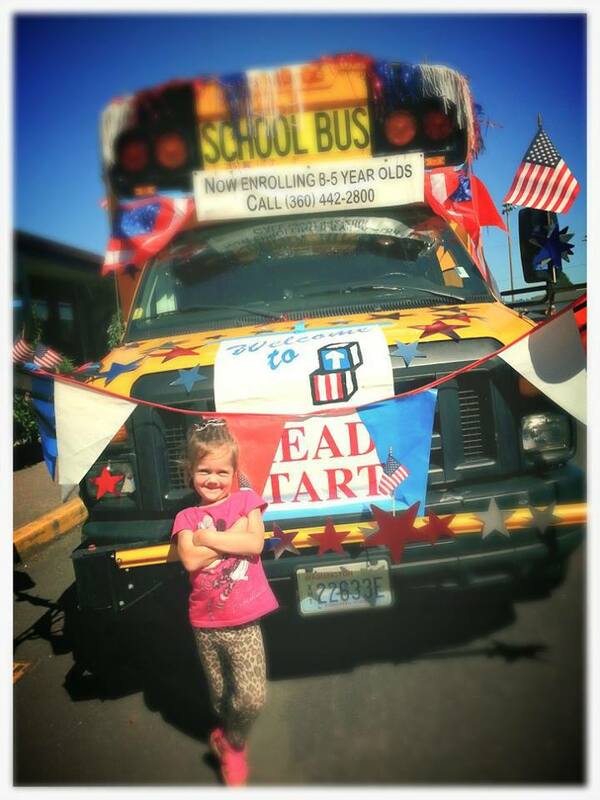 They see Head Start serving fewer 4 year olds and instead serving more 3 year olds and younger children. They believe that 4 year olds would be better served in state funded preschool programs like ECEAP. You also see this with their increased interest and investment in the Early Head Start Child Care Partnership project. The standards reconfirmed this approach. They included language that if there is a state funded preschool program of reasonable quality nearby, the state preschool program should take the 4’s and the Head Start program should prioritize the 3’s. I personally disagree with this approach but this is the direction of the Obama Administration and probably the next Administration. Head Start will become further integrated within state early learning systems. The standards contain several areas where Head Start is called upon to become closer integrated into state early learning systems. Just two specific examples: 1) all Head Start programs by next summer will need to be part of their state’s QRIS systems—in our case Early Achievers (with some limited exceptions) and 2) while they didn’t say much in the standards about it they put enough in there to strongly encourage Head Start providers to work closely with their state’s longitudinal data system. We’re already starting these conversations with our state’s Education Research and Data Center, Region X, DEL and Head Start directors. I think these changes are reasonable and we should find ways to work more closely to establish less duplication and more partnership with state early learning systems where possible. We all should be happy with the new Head Start performance standards. Clearly, there is a lot more to the standards than these five big buckets and I still have some questions where more clarity is needed, but overall this how I would describe them in a nutshell. Please feel free to email me if you would like to share your own thoughts or have a comment.